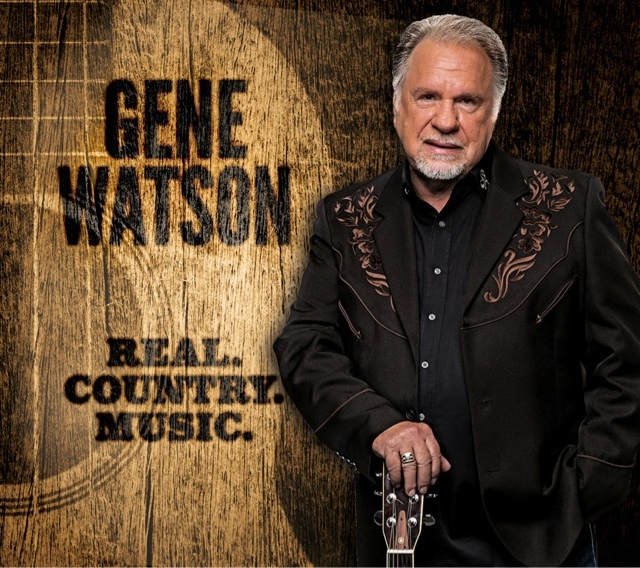 NASHVILLE, Tenn. (January 28, 2016) – Gene Watson blends traditional, organic country that purists long for in his new album,Real.Country.Music., available for preorder now and digital retailers February 26. After five decades in the music business and more than 75 charting singles, Watson continues to deliver an authentic, soulful album with Real.Country.Music. Real.Country.Music. is Watson’s 33rd studio album, which includes a gospel rendition of “Help Me,” a song penned by Larry Gatlin and recorded by Elvis Presley. “Enough For You,” written by Kris Kristofferson, and “When A Man Can’t Get A Woman Off His Mind” a co-write by Bill Anderson and Sharon Vaughn, showcases Watson’s powerful voice and multi-octave range. The 13-track album exemplifies Watson's ability to sing some of the most challenging songs with an ease that comes from pure, natural talent as well as many years performing onstage. March 04 Mill Town Music Hall - Bremen,Ga. March 05 Itawamba Community College - Fulton, Miss. March 07 Strawberry Festival - Plant City, Fla.
March 11 Bear Creek Memories Dinner Theatre - Celina, Ohio. March 12 Effingham Performing Arts Center - Effingham, Ill.
March 18-19 Ross Country Jamboree - New Washington, Ind. March 25 DoesyDoe - The Woolands, Texas. April 17 Sisseton Performing Arts Center - Sisseton, S.D. April 22 Starlite Theatre - Branson, Mo. April 23 Starlite Theatre - Branson, Mo. April 29 Little Roy and Lizzy Music Festival - Lincolnton, Ga.
April 30 Red Barn Convention Center - Winchester, Ohio. May 04 Starlite Theatre - Branson, Mo. May 14 Old Dominion Barn Dance at the Henrico Theatre - Highland Springs, Va.
May 15 Old Dominion Barn Dance at the Henrico Theatre - Highland Springs, Va.
June 24 Panhandle Watermelon Festival - Chipley, Fla.
July 02 Gilley’s Choctaw Casino - Durant, Okla.
Sept. 02 Blue Gate Theater - Shipshewana, Ind. Sept. 03 Blue Gate Theater - Shipshewana, Ind. Sept. 17 Truman Lake Opry - Tightwad, Mo. Sept. 18 Truman Lake Opry - Tightwad, Mo. Sept. 20 Starlite Theatre - Branson, Mo. Sept. 24 Liberty Showcase - Liberty, N.C.
Oct. 01 Prairie Knights Casino - Fort Yates, S.Dak. Oct. 02 Midwest Country Theatre - Sandstone, Minn.
Oct. 15 Texas Opry - Weatherford, Texas. Oct. 26 Starlite Theatre - Branson, Mo. Oct. 27 Starlite Theatre - Branson, Mo. Oct. 28 Starlite Theatre - Branson, Mo. Nov. 05 Meramac Music Theater - Steelville, Mo. Dec. 01 Starlite Theatre - Branson, Mo. Dec. 02 Starlite Theatre - Branson, Mo. Dec. 03 Starlite Theatre - Branson, Mo. This masterful country stylist from Houston, Texas has been thrilling audiences for more than 50 years. Gene Watson’s tally of 75 charted titles, 23 top-10 hits and six number-one records has led to membership in the Texas Country Music Hall of Fame and the Houston, TX Music Hall of Fame. Radio listeners are still transfixed whenever classics like “Farewell Party,” “Fourteen Carat Mind” or “Love in the Hot Afternoon” are played. Considered one of the finest pure-country singers of his generation and known as “The Singer’s Singer”, Watson offers up one of the best traditional country shows in the business. For more information about Gene Watson, visitGeneWatsonMusic.com.